Travel theme: Sparkle | Oh, the Places We See . 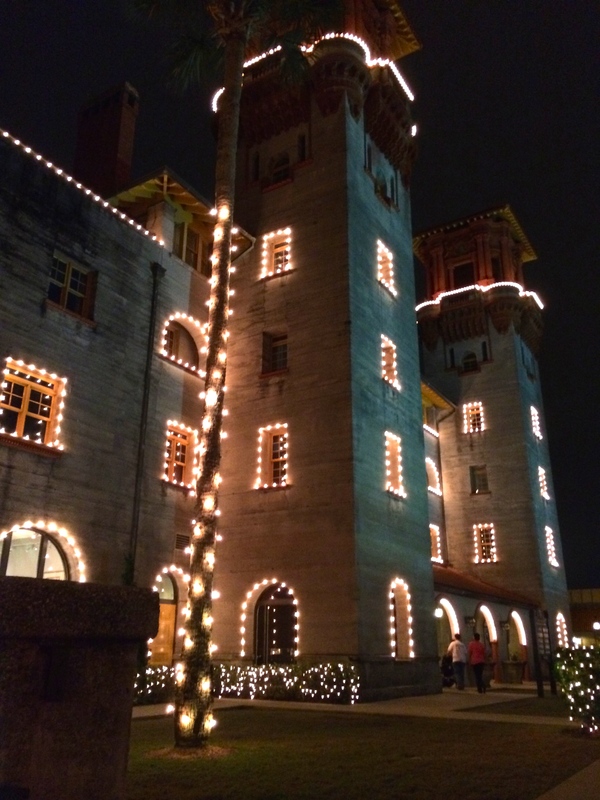 . .
With over three hundred million lights, St. Augustine, Florida’s Nights of Lights lives up to its listing in The World’s 10 Best Holiday Displays by National Geographic. Now that’s a lot of sparkle! 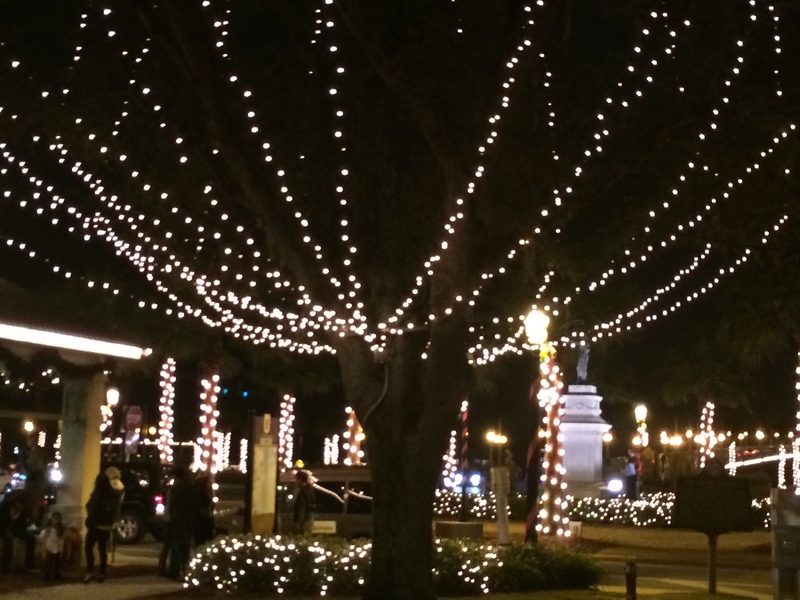 All over the city, historic buildings, plazas, trees, and even horse-drawn carriages are decked out in tiny lights. The Lightner Museum (formerly the Alcazar Hotel) decorated for the Nights of Lights celebration. Tourists and locals alike seem to enjoy the displays. On the nights we were there in January, people roamed around the city taking pictures and enjoying the lighted venues. The lighting goes back to Spanish origins when people placed lighted candles in their windows during the Christmas holidays. 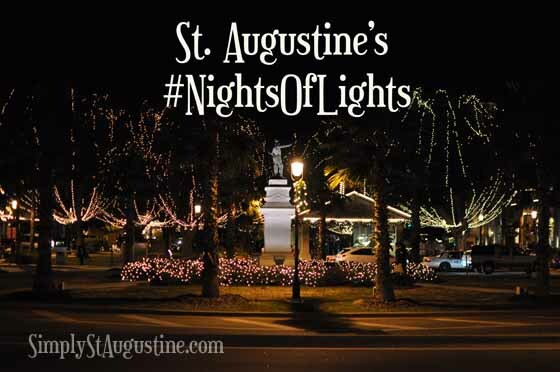 Now celebrating its 449th year in existence, St. Augustine is proud to continue the tradition with its Nights of Lights celebration from November 22, 2014 to February 1, 2015. 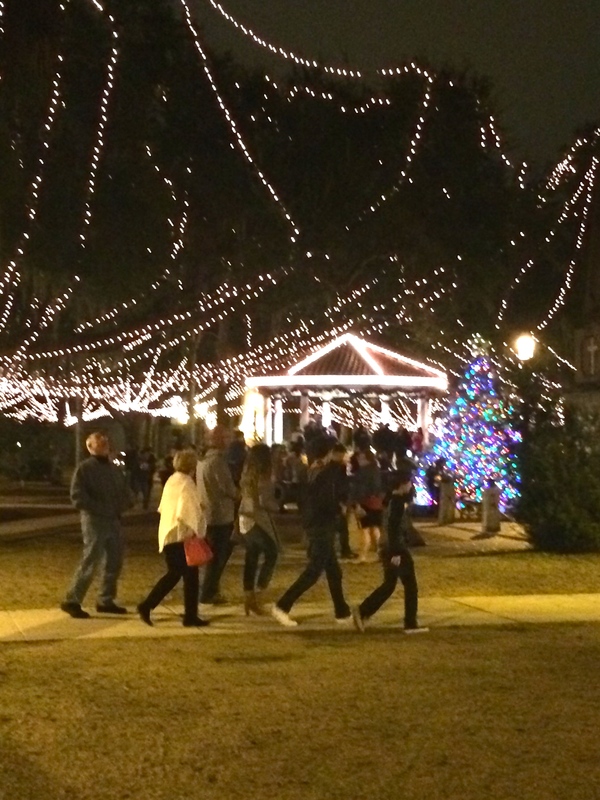 For more information and a photo gallery showing scenes from St. Augustine’s Nights of Lights, click here. For more entries in Ailsa’s Travel theme: Sparkle on her blog Where’s My Backpack, click here. This entry was posted in Destination, Festivals, Photography, Travel Theme and tagged #FLHistoricCoast, Alcazar Hotel, Florida, Lightner Museum, Nights of Lights, St. Augustine. Bookmark the permalink. I can see why that view would be terrific. We loved this old city, but we weren’t expecting so many similarities to New Orleans, even Key West. There’s a laid-back vibe there that could really grow on us, and so many more places than we saw to explore. We also suspect that there are great events at the college, too. Thanks for sharing your Christmas tradition — you might have to do it again someday! I love sparkly lights – they make me feel very happy! What a stunning place and how St. Augustine looks magical. It was our first trip to St. Augustine, but we can see why it was packed with tourists — all having fun, or so it seemed. It’s a festive atmosphere in the courtyards and down the shopping streets. Even on the trolleys, people were singing and waving. It’s sort of a cross between Key West and New Orleans with that Southern feel and mild temperatures. We’d love to go again. Thanks for reading! Great shots! Looks like you had FUN! Thanks for taking a look, Susan. It WAS fun — and everyone outside seemed happy. The people riding the trolleys were singing, laughing, and waving. So, St. Augustine seemed to be a hit destination! So beautiful! Love how you captured the lights, Rusha! Thanks, Amy. I tried but it’s difficult. i have a real appreciation for those who do night photography! Mostly I just have fun snapping pictures of other people having fun! Hope your week goes well. I know how difficult it is, and have tried a few times. I really like these photos. Thanks, Cindy. We just returned from St. Augustine, a place I’ve always wanted to visit. Because the evenings were mild, we were able to walk around downtown and enjoy the lights. Glad you liked them.